Of all the places I’ve visited in Pennsylvania, Philly is one of my favorite places to photograph after dark. The city comes alive after dark and capturing this scene is a true passion of mine. 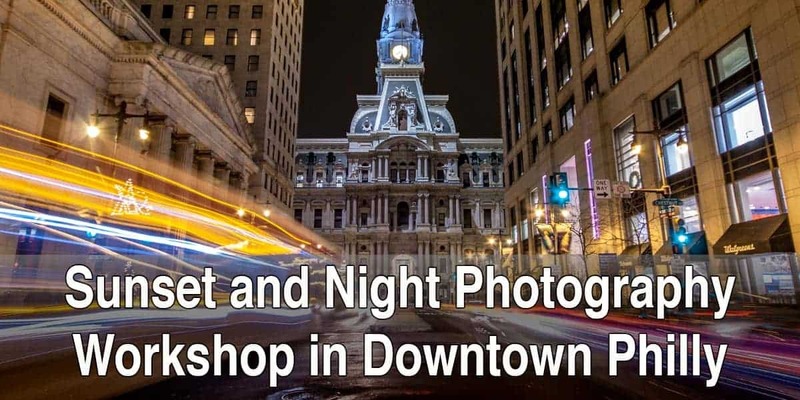 Come join me for this photography workshop that will cover both sunset and after dark photography around Philadelphia’s City Hall and Center City. This workshop is geared towards those just starting out with nighttime photography, but photographers of all skill levels are welcome. If you don’t need any instruction, but just want to photograph the city with a group, feel free to come along. Along the way, we’ll talk about the proper settings for both sunset and photography during the blue hour, different techniques that you can use to get properly exposed images, how to photograph light trails, and much more. 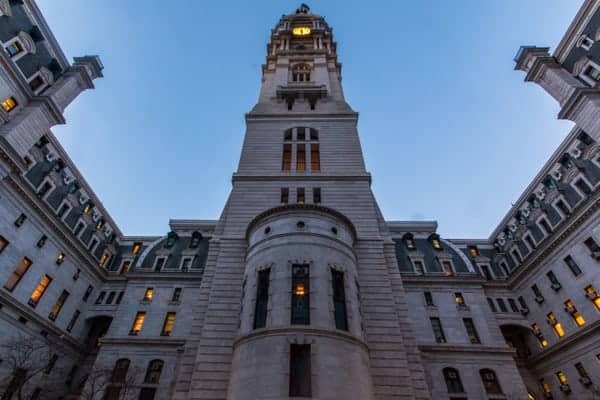 While we walk around, I’ll also point out a few historical structures, and give you a bit of information about the hidden stories of the city. 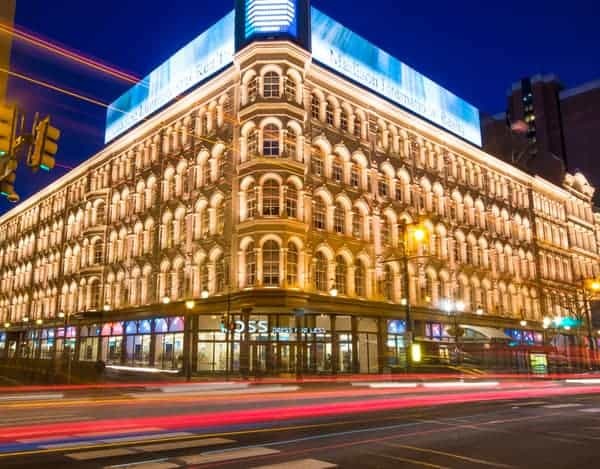 Not only will you get great photos, but you’ll also have a better appreciation for PA’s largest city. While this is a workshop for beginners, you’ll get the most out of the workshop if you have a basic idea how to work your camera. At a minimum, I’d recommend having a camera that you can change the shutter speed on and knowing how to do so. Since all cameras are a bit different, I’d recommend bringing your manual in case we need to figure out how to change a setting on your camera. I also HIGHLY recommend a tripod as not having one will greatly limit your potential shots, though we can work around it if you don’t have one. Generally speaking, workshops will go on even if there is a threat of inclement weather. After all, you can get some great shots during poor weather. Should dangerous weather conditions or other conditions force a cancellation, we will try to offer a rain date. If you are unable to attend the rain date, you can apply your amount paid to another photo workshop or receive a full refund. There is no minimum age to participate in this photography workshop. All attendees who will be shooting during the workshop must purchase a ticket. If they will not be taking photos, children 16 and under can attend for free (Please let me know if you will be bringing a child). A ticket must be purchased for anyone over 16 regardless of whether they will be shooting or not. If you have any other questions, read our FAQ page. You can also message me using the form below. Check out our other Pennsylvania Photography Workshops here. 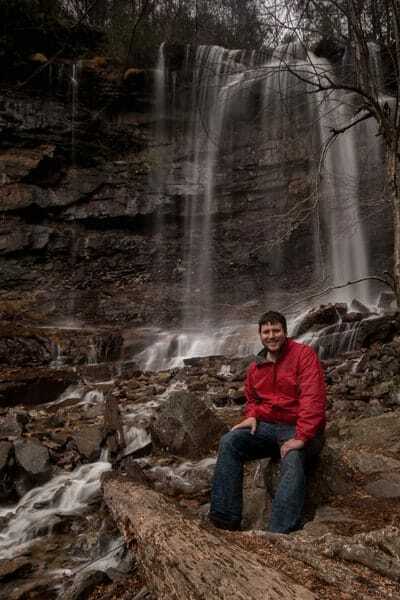 Jim Cheney is the writer, photographer, and creator of UncoveringPA. He is an award-winning photographer that has photographed all 67 counties in Pennsylvania. Jim’s photography focuses on creating unique images utilizing long-exposure shots of waterfalls, sunsets, sunrises, and cityscapes. He also has an interest in abandoned photography. You can see more of his work on the UncoveringPA Instagram page or on his personal Instagram, JimCheneyPhotography. Click here for a list of equipment used by Jim.